Curtis Millender is not forgetting about his roots on the road to fame and fortune. 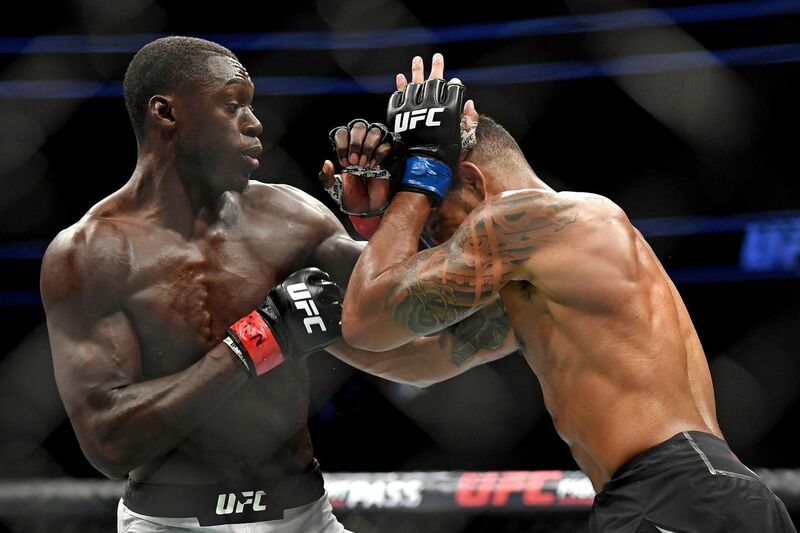 Curtis Millender plans to get back to cashing win bonuses in the UFC and he hopes to put some of that money to good use. Millender spoke with Bloody Elbow ahead of his UFC 236 bout with Belal Muhammad. The welterweight prospect touched on the murder of rapper Nipsey Hussle, who was known for investing time and money into his local communities. Even in death, “he is still putting back into his community and that is the most touching thing about his legacy,” Millender said. Fighting for fame and fortune, Millender hopes too one day be able to invest back into the communities he grew up in. Millender (17-4) is looking to bounce back from his first loss in four years to Elizeu Zaleski dos Santos at UFC Wichita. UFC 236 takes place at the State Farm Arena on Saturday, April 13. Keep up with Bloody Elbow for live highlights, updates, and results on all of the night’s action.